Change is a constant and imperceptible process. Nothing remains the same and yet it often feels as if things are fixed, solid certainties. Change operates in strange ways. ‘Ta panta rhei’ (everything flows) the ancient Greek philosopher Heraclitus pointed out, meaning that everything is constantly changing, from the smallest organic particle to the whole universe. Heraclitus asserted that every seemingly stable object ultimately is a figment of one’s imagination. Only change itself is real, constant and in eternal flux, like the continuous flow of the river, which always renews itself and only appears to be staying the same over time. Until recently – and excluding those more rare radical moments of personal, social or political transformation – change appeared to creep up on us slowly. But then, one day we wake up and experience a sudden break in consciousness. It abruptly dawns on us that our world has changed beyond recognition. We have been thrust into the future, unwittingly. In recent years, and particularly since the advent of the technological revolution, it seems that even the Heraclitan constant flow of things has become a torrent. Our world seems to be ever accelerating. As James Gleick has pointed out in his book Faster: The Acceleration of Just About Everything, “We have reached the epoch of the nanosecond. This is the heyday of speed”. The 1st Riga Biennial biennial will reflect on the phenomenon of change – how it is anticipated, experienced, grasped, assimilated and dealt with at this time of accelerated transitions. The title, Everything Was Forever, Until it Was No More, is borrowed from Alexei Yurchak’s book of the same name. Yurchak discusses the collapse of the Soviet Union and one particular characteristic that defined it: the sense that although the Soviet system was felt to be permanent and immutable, its demise was at the same time perceived as completely natural. The shock of being thrust into a new order came only later. The title of his book suggests the slippery nature of change, the fact that what might seem eternal can suddenly come to an end. He calls this a case of ‘fast-forwarded history’. The title of Yurchak’s book resonates in the entire post-Soviet sphere, the Baltic states included; but it can also be seen as a potent metaphor for our own era. At the same time, on a more global level, we seem to be at a watershed, propelled forward at great speed by technological change, new practices of daily life that seem to occur in a flash – like the quick consolidation of the internet and smartphones in our lives, for example – and radical ideas that are becoming mainstream. Yet more and more of us – old and young – have trouble keeping up with incessant, overwhelming flows of information and the increasing acceleration of our lives and work. Facilitated by technology, the changes at first seem natural. Introduced as novelties, they then quickly become necessities in a pure capitalist sense – but they are too profound and fast for us to really grasp or adapt to without great stress and anxiety. We tend to forget that we are still animals, and that like them we struggle to adapt to change. We are better equipped than most living things to do this, but we too experience change as stress. Though the condition of constant acceleration has become normalised in most areas of life, and differs from place to place, city to city and country to country, few seem to question it or are able to resist it. In our hubris we tend to forget that evolution, which allows for adaptation to new conditions, has been an extremely slow process. Consider this simple timeline: life on earth appeared 4 billion years ago; homo sapiens appeared 70,000 years ago (new research now suggests 300,000 years) and life evolved on the planet at a very slow pace until the financial and agricultural revolution which started at the beginning of the 1600s. Only since the industrial revolution did things start changing dramatically as humanity was propelled by the steam age into modernity. The technological revolution that began with the industrial revolution and has culminated in the digital revolution is – like the whole history of homo sapiens – but a flash of lightning in terms of the long night sky of humanity. The pace of acceleration since the industrial revolution seems exponential. Within 300 years we’ve had to adapt to habitats, practices and amenities that bear no resemblance to what our ancestors experienced for thousands of years. In this time, the world has been dominated by humanism. In years to come, natural selection is likely to cede to ‘artificial intelligence’ and scientific intervention. The seeming mastery of man over the planet in the age of the so-called Anthropocene means that the world is likely to change beyond recognition in this century. The world we now know and understand might well no longer exist in the near future. Although the speed of change fuelled by science and technology is remarkable, it does not seem this way since major structural changes tends to happen imperceptibly, quickly becoming the norm. We have entered a period of instability where a lot of the assumptions and certainties we held to be true are being thrown in the air. Expectations and predictions, politically and otherwise, are constantly turned on their heads. 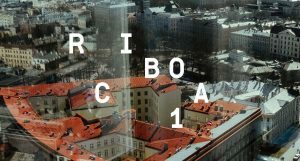 Geopolitically, the Riga Biennial could be thought of in terms of a regional equation of Baltic–Nordic–Post-Soviet dynamics, which are worth exploring further. If one draws a line vertically through Latvia, one would be looking at a map where the new tensions of the Eurasian East–West divide are being played out, with Russia acting as a geopolitical game-changer at the beginning of the second post-Soviet generation. The historical entanglements and conflicts between Latvia and Sweden, Russia, Poland and Germany cannot also be ignored. The collapse of the Soviet Union resulted in what has been called a ‘new regional geography’, especially in the Baltics, which merits further consideration. The region has become the locus of political and economic restructuring, identity renegotiation, and global reintegration. Yet these remain fragile and contested geographies. “With the dissolving of the internationalist vision, everybody belongs to a clan – ethnic or virtual – and everybody is preparing to protect themselves against the coming invasion. After the abandonment of the universalist horizon of enlightened modernity, conflicting subjectivities are now kept together by a faith in belonging”. 2016, the year the Riga Biennial was founded, was called ‘the year of the political earthquake’; this may be an overstatement but what is clear is that we are on the cusp of a new world order. As far as Europe is concerned, Timothy Garton Ash called this year ‘1989 in reverse’. The election of President Trump, Brexit, the resurrection of nationalism and other totally unexpected radical developments, resulted in a form of ‘psychopolitics’ to borrow a term from Peter Sloterdijk. Philosopher Lieven de Cauter calls this, more poetically, ‘political melancholy’. The world is facing major challenges for which – despite the unprecedented knowledge and information we have at our disposal – we are unprepared. There is climate change; the transition from a material-based to knowledge-based economy and ‘cognitive’ capitalism; increasing automation which will make humans redundant and transform the labour market; rapidly changing demographics; and finally ideas of ‘transhumanism’ – the belief that the human race can evolve beyond its current physical and mental limitations by means of science and technology; the latter might now seem farfetched, but in the future could easily become reality considering the rapid development in fields of genetic engineering, medicine, bio- and nanotechnology. As Yuval Noah Harari has pointed out in his book Homo Deus for thousands of years history was full of technological, economic, social and political upheavals. Yet one thing remained constant: humanity itself’. This fact no longer seems to continue to be a given. As he points out, “In the 21st Century, the […] big project of humankind will be to acquire for us divine powers of creation and destruction and upgrade Homo Sapiens into Homo Deus”. This thought is daunting. The fact that ‘we are rushing so fast into the great unknown’ has engendered anxiety, insecurity and a feeling of disconnect from our senses and emotions. This is different from the anxiety and insecurity of our parents and grandparents who experienced war and want as well as their fair share of the full shock of modernity; they had to activate survival modes in order to get by. What we in the constantly networked, overworked, over-stimulated world are experiencing on a daily basis seems normal, and – by comparison – we are also more privileged. But at the same time we are less able to make sense of the present while certainly lacking the survival skills of our predecessors. It feels as if humanity as a whole is on automatic pilot, without pausing to think about the cause of our actions. Whereas many biennials and large-scale exhibitions recently have been quite retrospective – anachronistic, even – looking to the past and harking back to lost political and social utopias, the 1st edition of the Riga Biennial will set its eyes firmly on the present and the near future of the human condition as we approach the second quarter of the twenty first century. It will explore the shifts that have been taking place in the region but will also contextualise these into a broader picture, as the world is now decidedly interconnected. The biennial will be regional in its geopolitical focus but global in its examination of the issues that concern us all. From the personal to the political and social, to the philosophical and the existential, the Biennial will probe how contemporary artists are responding to some of the major challenges of the day, how they register change, and how they imagine the future. Riga seems to be the perfect place to do this, as a place that has often experienced pivotal change. While now part of Europe and having experienced the transition to capitalism, following Soviet occupation, the city maintains its own rhythm and identity and is far from being or becoming yet another high performance metropolitan hub. It maintains a human scale and livable pace, and its inhabitants – like most Latvians – have a close relationship with nature. Riga’s atmosphere as well as history allows us to re-focus on important values such as slowness, de-acceleration, and pausing to reflect upon and understand our changing present as well as consider alternative ways of being and acting. The biennial will highlight artists from the Baltic and Nordic region as well as include international artists who will reflect on the multiple parameters of change, taking the temperature on the human condition at this moment. The exhibition will focus on several pressing issues, from the ‘great acceleration’ most of us experience today in urban centres and mega-cities, the transformation of social life and work, the end of privacy and ‘post-truth’, to the impact of rapid advancements in science and technology and the negotiation of constant crises – of ecology, capitalism, democracy. Many of these changes have radically altered the way we experience the world and have undermined – or overridden – all of our senses except vision. A part of the exhibition will also thus refocus on the sensorium – the sum of the human organism’s perceptive tools – creating moments that trigger the senses that have been marginalised, allowing for a much-needed deceleration of perception. The 1st Riga Biennial aims to paint a political, but also personal and existential, portrait of the unprecedented times we live in and to relate the tectonic shifts that are taking place in the public as well as private realm today. Whether one defines the current era as the ‘Anthropocene’, the ‘Capitalocene’ or the ‘Chthulucene’, it is certain that we have entered an era of epochal shifts. This is at once both exciting and frightening. The artists in the Riga Biennial will look into these changes and how we adapt to them, summoning ghosts from the future and recalling prophets from the past.